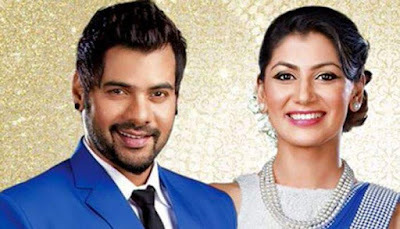 Entertainment Zee World Movies Zeeworld: Wednesday December 5th update on "Twist of Fate season 2"
Zeeworld: Wednesday December 5th update on "Twist of Fate season 2"
Purab is seen telling Dadi, Beeji and Sarla to go home but They refuse to go home until they find Abhi and Pragya. Tanu calls Aaliya and tells her to come home fast, as she has locked Dasi and Janki in the room. Aaliya agrees and informs her to send car. Tanu sends message to Nikhil and says your work is done now, you can kill Abhi and Pragya. Pragya tells Abhi that she will give him sponge bath and tries to take out his shirt. She asks him to remove his pant also. Abhi asks what? She says she will clean him. She gives him sponge bath and cleans his feet. Abhi blows air on her face, They are about to kiss. Pragya smiles. Main Phir bhi song plays…Abhi says he needs cold water and asks if Pragya if she was nurse before becoming teacher and his secretary. Pragya tells Abhi did I ask you when you rode the horse before. Abhi asks her to come closer. Pragya splashes water on him. Abhi asks her not to do it and says he will not leave her. Pragya asks him to get up first. Raghuveer comes and see them fighting as kids. Pragya says she will clean the floor. Raghuveer says it is ok and says he brought clothes for Abhi, and asks what he would like to have. Abhi says we can eat grass if you feed us with love. Pragya says she will make food. She makes Abhi wear the clothes and goes to cook food. Raghuveer says your wife loves you. Abhi says she is everything, but not his wife. Raghuveer says she protected you in the jungle and when I asked her to come to my house. She took you in her arms and says she has accepted you as her husband. He says she has love and care for you like a wife. Abhi looks on surprised.. Damru, contract killer and others search Abhi and Pragya in the jungle. Contract killer see the blood stain and says it is fresh. He sees three footsteps and says someone is with them. Nikhil comes there. Contract killer says they are near and says I will bring them to you. Abhi asks him to shoot them, the moment he see them. He says he got rid of Abhi’s sister with much difficulty. Contract killer asks him not to compare him with his joker goons and asks why do you come here. Pragya makes food for Abhi and thinks she is making food for her husband. Main Tumko Chahungi plays.. Abhi liking the place. Pragya tells that Raghuveer ji enquired with the neighbors, but even they have no network. She asks about her family. Raghuveer ji tells her that he has two daughters, elder one is like her, and the younger one is opposite of her. He gives description of Pragya and Bulbul. Abhi asks where is his wife? Raghuveer ji tells that he had taken wrong decision in his life and that’s why his wife is not with him. He asks Abhi not to take wrong decisions and not to take much time in making right decisions. Pragya says I didn’t understand. Abhi says I have understood and asks Pragya what she made in food. Nikhil, Contract killer, Damru and others search for them and see many foot steps. Contract killers says good luck don’t be together for long and says they are near them. He says he will smell blood and reach them. Damru says now he will smell like dogs and search them. Killer asks them to search in every house. Nikhil also searches them. Raghuveer ji comes to kitchen. Pragya says food is ready and tells that her friend Abhi likes kheer. She asks him to taste it. Raghuveer ji asks if she knows everything about him. Pragya says she knows everything being his fan and secretary. Raghuveer ji says you are not his fan or secretary and says it is shown in your eyes that you love each other and asks her to marry him. Pragya says there are some troubles. Raghuveer says I am making him understand not to take much time to take right decision. Pragya thinks about Abhi. Main Phir Bhi song plays……She tells Raghuveer that happiness shall be collected when they come. Raghuveer says yes. Abhi thinks Tanu told me that if I step out of mandap then think him out of her life. He thinks about Pragya’s love for her and thinks Pragya is different from Tanu. Tanu doesn’t know how to talk nicely, and Pragya knows to fulfill relations. He thinks about Raghuveer ji’s words that this girl will never let you fall and asks him to marry Pragya and says I guarantee that you will have a happy life ahead. Abhi thinks with whom I shall marry Tanu or Pragya (still confused) and imagines Pragya. Nikhil sees Raghuveer Nivas outside Raghuveer ji’s house and says there might be nobody inside. Killer asks Damru to check and says there is a possibility that they are here. Raghuveer tells Pragya that he will get them married as she called him Baba. Damru and the other goons knock on the door heavily and asks to open the door. He tells killer that nobody is inside. Killer asks him to use his strength to open the door. Pragya tells Raghuveer ji that goons are here and asks him not to open the door. Raghuveer ji says let him check. Damru and other goons knocking on the door heavily. Pragya sees the goons and identifies them. Abhi asks Raghuveer if there is any back door or if they can run from terrace. Raghuveer says no and asks Pragya to lie on the bed, and Abhi to hide under the bed. He goes to open the door. He opens the door. Damru asks where was he, as they were knocking on the door since 2 hours. Raghuveer ji says he was in the toilet. Killer/Commando tells that they are in search of a couple and asks him to tell, and says they are injured. Raghuveer says they are not here. Commando says if I found them then I will kill you first and then them. Abhi and Pragya argue. Abhi says I will lie down on the bed and worried about her safety. is sleeping. Commando asks goons to search the house for Abhi and Pragya. He goes to kitchen and sees many dishes. He asks who made this? Raghuveer ji says his daughter has made this. Commando says she must have made kheer too. Damru comes there and gets happy seeing kheer. Commando asks him to go and says he will come after eating kheer. He tastes it and says it is good. Abhi tells Pragya that nobody came here till now and says he is afraid of cockroach. Pragya asks him to be silent, close his eyes and think something good. She asks him to think about themselves. Damru and other goons don’t see anyone. Commando asks them to check in upstairs room. Raghuveer ji tells that his daughter is sleeping in upstairs room.